I'll be at Arcanacon in three weeks (28th January) and lists need to be in by midnight tomorrow so for those of you attending who are as lazy as I am PULL YOUR FINGER OUT. Download the player pack here. I'm wincing at the idea of only having one unit of plasma crisis suits. Without redundancy they become a tempting target for my opponent. Hopefully adding plasma to the Broadsides will balance this out - but this needs playtesting and I am running out of time. Hounds are good for adding some cc punch and more bubblewrap. I understand that. I've been working on a list all night because of comp bonus points at a tournament I want to go to. There is a point where you have to weigh the loss from the list vs the penalty of comp and decide. The plasma squad is at three when you include the Shas'el. 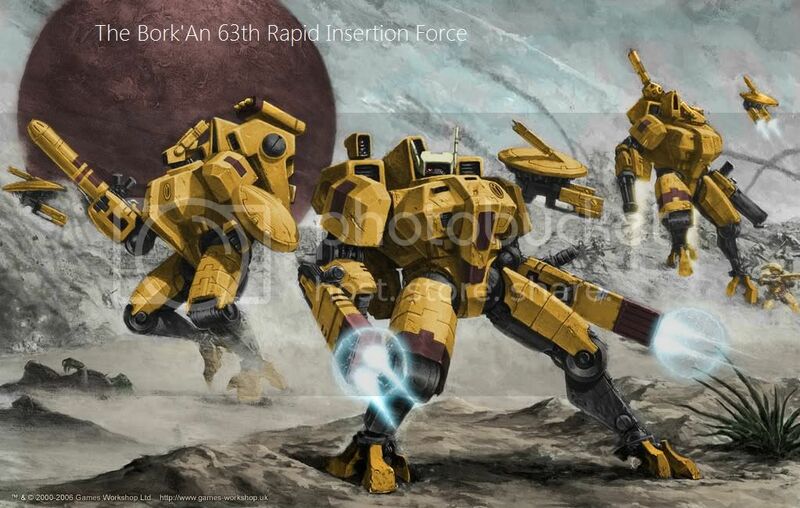 I think that 5 models (note the drones) is the optimal size for suit units. It means they need two casualties to force a morale test, and any bigger and jumping the Kroot bubblewrap whilst dodging terrain becomes difficult. Ah yep, makes perfect sense. Sounds like you have thought it through. Best of luck with that list.